Gabriel means: "God is my strength" or "God is mighty." 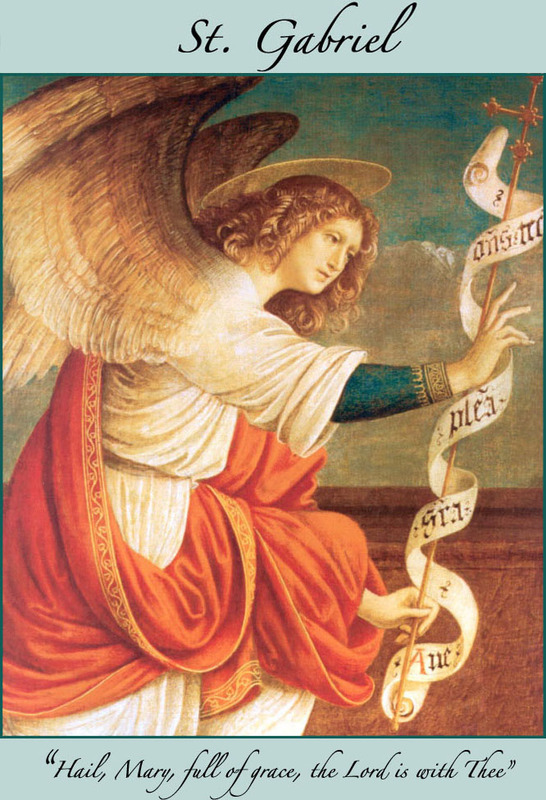 Gabriel is one of only two angels mentioned by name in the Bible. Michael is the other. Raphael is mentioned in the Apocrypha, which is included in the Catholic Bible. Gabriel has always had a close association with maternity. An ancient legend says that she announced the birth of Samson. She appeared to Zacharias to tell him that he and his wife Elizabeth should prepare for the birth of a son, John the Baptist (Luke 1:5-25). In the Jewish tradition it is believed that Gabriel instructs the baby while it is in the womb. Gabriel is considered the Archangel of Dreams, Premonitions and Clairvoyance. This came about after she helped Daniel to understand the significance and symbolism of his strange dreams.